Extra! Extra! (Hey why did newsboys call out "extra?") Anyway, the point is, I've got extra reviews this week, what with all the extra great stuff being released (oh my gosh, the more I say "extra" the weirder it sounds—what a weird word). After my special spotlight on Dragonwatch on Monday, I've still got three more books to share with you this week. 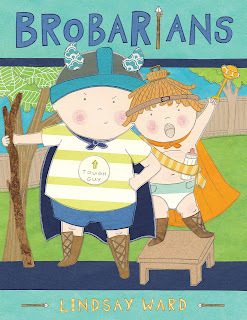 "This is the tale of the mighty Brobarians. Two warriors, once at peace…now at odds. Iggy the Brobarian has taken over the land. Can Otto the Big Brobarian win it back? Or maybe, with a little help, the two brothers can find peace again… This is an epic—and adorable—story of sibling rivalry and resolution." It's quite genius, actually. In the telling of a classic scenario (sibling rivalry), Ward uses late night reruns of "Conan the Barbarian" to her supreme advantage: text that is intricate, detailed, and thematic paired with childish, simplistic illustrations. It is the ultimate imagination game. Yes, some of the vocabulary is intense ("he plundered wondrous treasures, conquered magical beasts, and challenged colossal monsters") but that is also what makes the story so intensely awesome. During that text sequence, you see an adorable baby boy holding up his prize rattle, playing with his sleeping dog, and facing off against the backyard grill. My one "however," though, is that with the difficult text and key illustrations, it might be a hard book to read with a large audience. 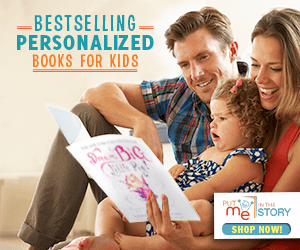 But I am quite eager to recommend it for one-on-one reading with your kids—it's a great vocabulary-building, imagination-prompting, sibling-celebrating book. 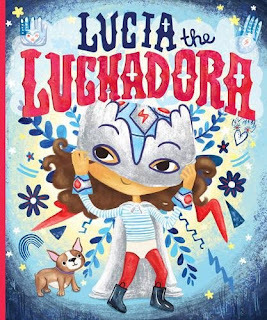 "Lucía zips through the playground in her cape just like the boys, but when they tell her 'girls can't be superheroes,' suddenly she doesn't feel so mighty. That's when her beloved abuela reveals a dazzling secret: Lucía comes from a family of luchadoras, the bold and valiant women of the Mexican lucha libre tradition. Cloaked in a flashy new disguise, Lucía returns as a recess sensation! 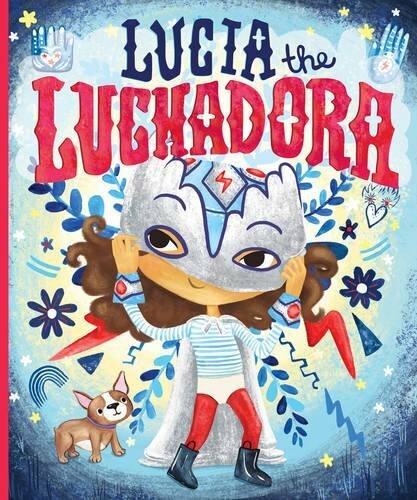 But when she's confronted with a case of injustice, Lucía must decide if she can stay true to the ways of the luchadora and fight for what is right, even if it means breaking the sacred rule of never revealing the identity behind her mask." 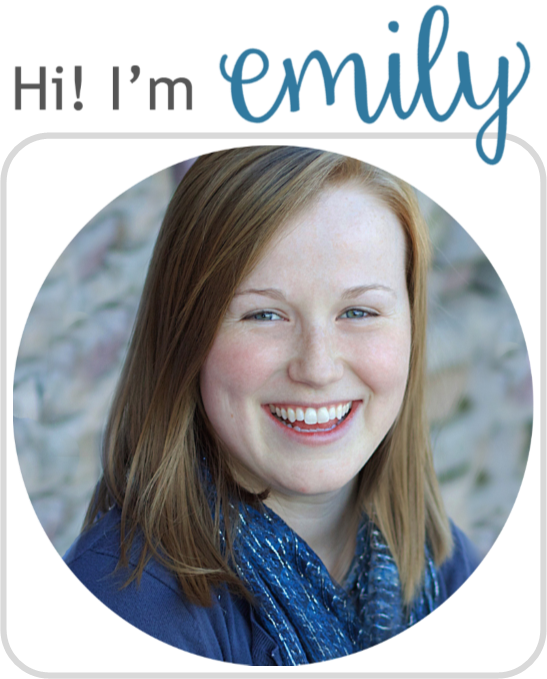 Cultural heritage, diversity, and a wonderful story? Yes, yes yes! This is definitely a win-win sort of book. I do love the overall story, but the way it's told is also done so well—plenty of superhero/comic-book flare but with a valuable lesson in justice and doing what's right. For Garza's first picture book, she's really wowed me. I love the sound effects and especially the repeated refrain of "I feel mad. Spicy mad. KA-POW kind of mad!" when Lucia deals with the unfair playground players. And even though this is a book referencing the professional wrestlers of lucha libre, there's no actual fighting—just fighting for what's right. The illustrations are wonderfully bright and colorful as well. I can understand while some parents may hesitate to share this with kids because of the traditional antics of luchadores and luchadoras, I promise this is a really valuable look into another culture. "It's the summer before grade six and Calvin Sinclair is bored to tears. He's recently moved from a big city to a small town and there's nothing to do. It's hot, he has no friends and the only kid around is his six-year-old brother, Sammy, who can barely throw a basketball as high as the hoop. Cal occupies his time by getting his brother to do almost anything: from collecting ants to doing Calvin's chores. And Sammy is all too eager - as long as it means getting a 'Level' and moving one step closer to his brother's Eagle status. "When Calvin meets Aleta Alvarado, a new girl who shares his love for Goosebumps books and adventure, Sammy is pushed aside. Cal feels guilty but not enough to change. 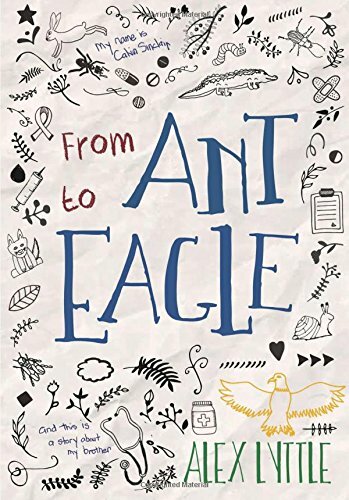 At least not until a diagnosis causes things at home to fall apart and he's left wondering whether Sammy will ever complete his own journey…from Ant to Eagle." I know, I know...it's a kid cancer book. I cried so hard. And you know how I feel about the depressing kids books. And this one is especially depressing, I'm not going to lie. But sometimes, it's necessary to have a book in your repertoire where everything doesn't go right. And where you really see how different people deal with grief. Now, this is about a sixth grader, so technically, yes, it is marketed towards that crowd. 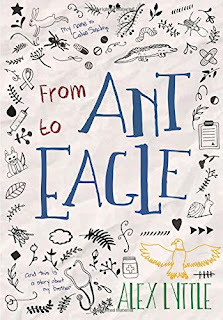 But I will warn that some of the dealing-with-grief in this book includes references to self-harm, an instance of swearing, and parental conflict (all very realistic, I just wanted to provide some warning). Okay beyond the depressing story, I do want to comment a bit about the author and his writing. Lyttle based this, his first ever novel, on his work in Pediatric Oncology. So while the story was very realistic and believable, the structure of the overall story was a tad rough; it felt to me that there were three distinct parts to the story, instead of a cohesive whole (pre-Aleta boredom, cancer diagnosis and treatment, and finally dealing with grief—what's this book really about?). The choppiness was mildly distracting. But really, this is a small complaint. I did love Calvin's character—especially his voice. Lyttle really captured his perspective (it's written in first person). Will I recommend this? Very carefully. Like I said, lots of tears. Some more mature concepts. But man, does it pull at the heart strings and get you thinking. Read at your own risk!